Low prices don’t always equate to low quality. 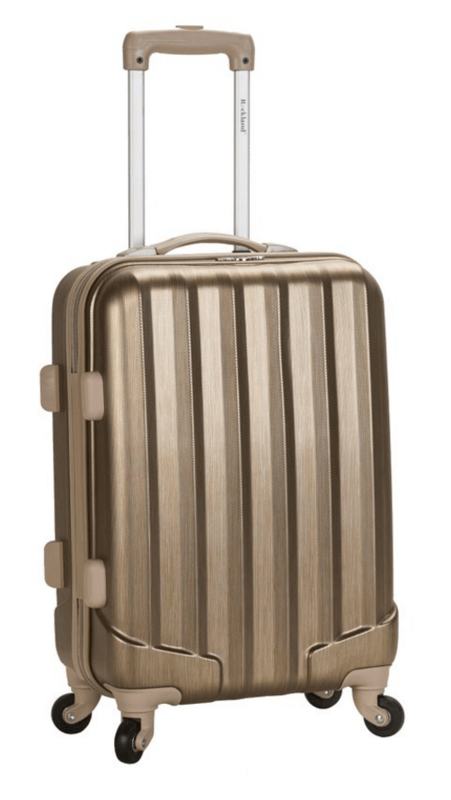 While most of the suitcases we review tend to fall in the $150-$350 range (like the incredible Victorinox Spectra), we’ve picked out the top 8 carry-on sized suitcases that cost under $50. That’s right just $50. 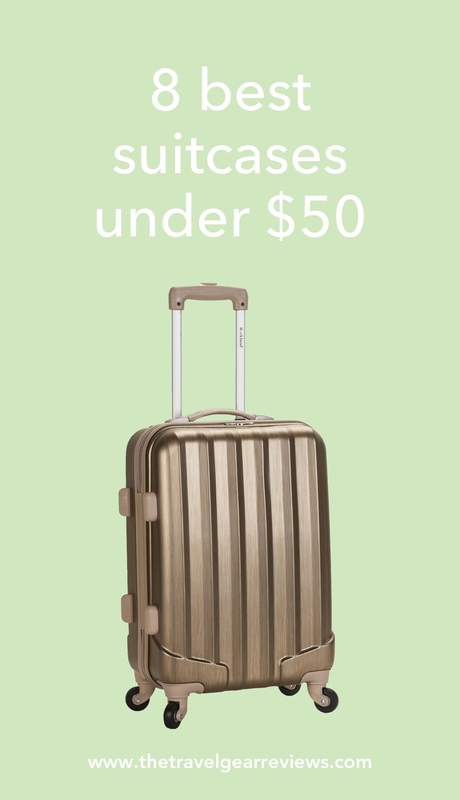 When you’re looking at suitcases below $50, unfortunately, most of your options aren’t the cream of the crop. For that reason, we’ve sorted through the junk and have picked 7 of the best suitcases under $50. All of these suitcases are highly rated, meet the carry-on requirements for most major US airlines and best of all, are inexpensive. 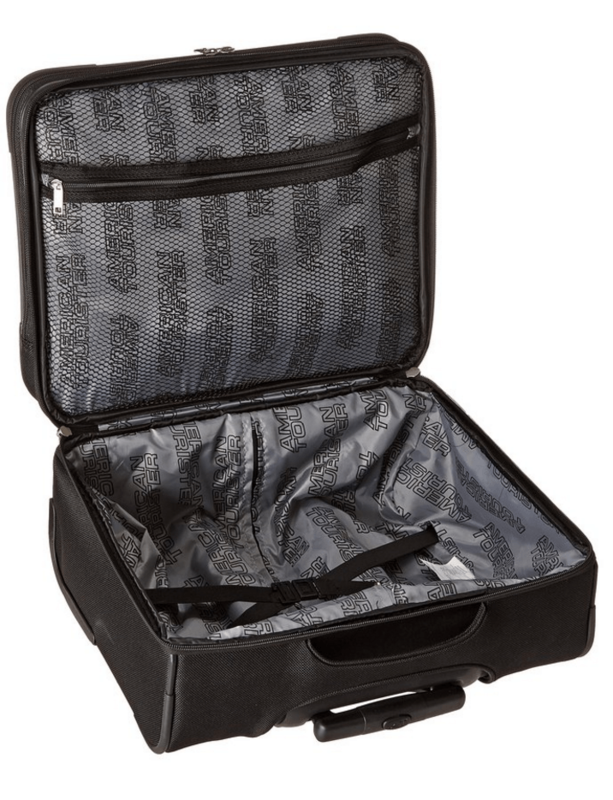 One of the most popular suitcases out there, the Rockland Melbourne, costs just $45. It is hard-sided with 4 spinner wheels and comes in 29 colors. 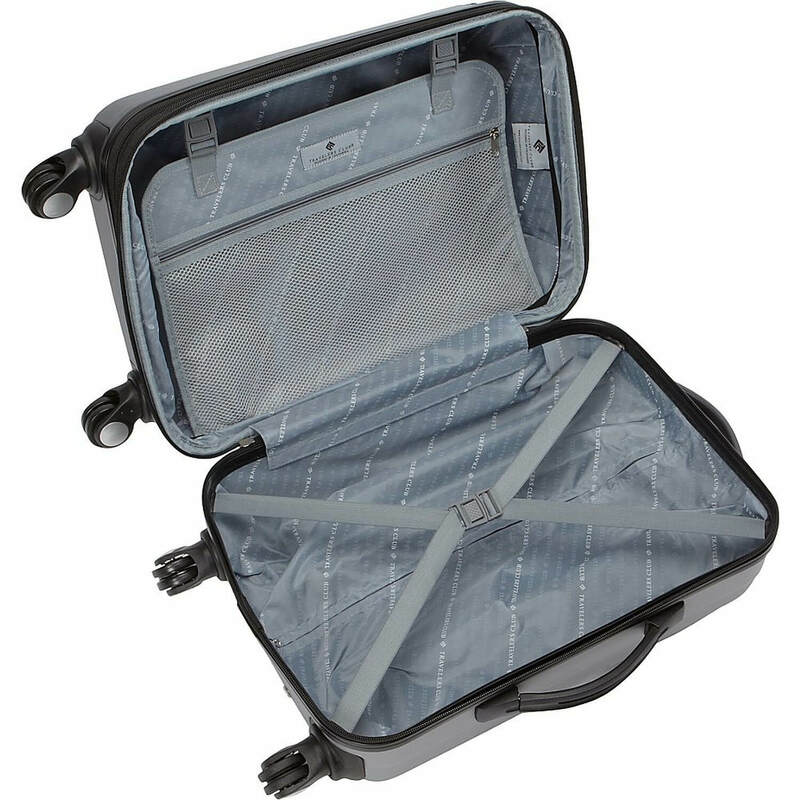 This luggage has an expandable zipper, allowing you to pack more in case you come home with some souvenirs. You can get it in colors ranging from the unassuming black to the hard-to-miss bright orange, or the luxe-looking bronze. When traveling, it’s super important to use a TSA approved luggage lock to prevent theft, and from your luggage’s zippers accidentally opening. Read our list of the best 7 luggage locks. $25. That’s about the price of an average hardcover book ― or the price of the Calpak Rover carry-on suitcase. This unpretentious wheeled suitcase has a no-frills design and a large enough capacity for your next 14-day cruise or two week road trip. Need a lightweight luggage to take on your vacation? This carry-on suitcase made by IT Luggage weighs just 3.5 pounds! 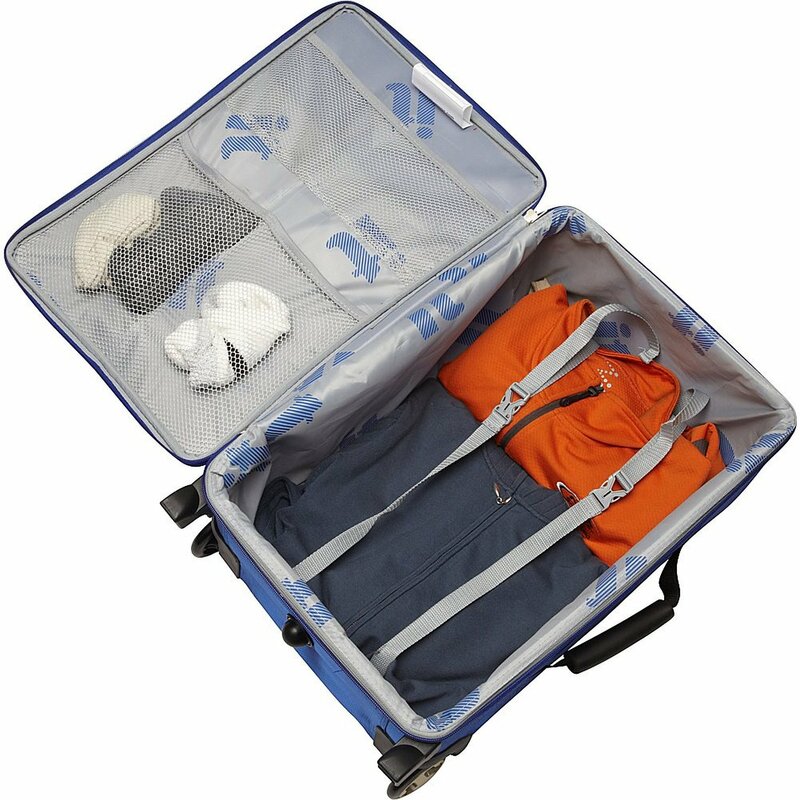 The suitcase was specially designed to be as light as possible with the two shafts of its telescoping handle positioned at the sides of the bag. 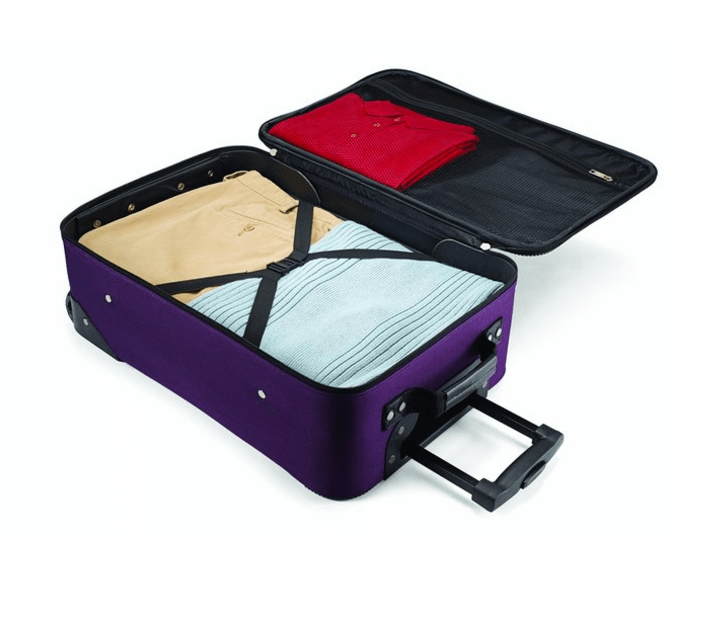 Made with polyester, this luggage is also quite durable. This black suitcase has a professional aura and is ideal for going on vacations, taking business trips or even strolling into meetings. 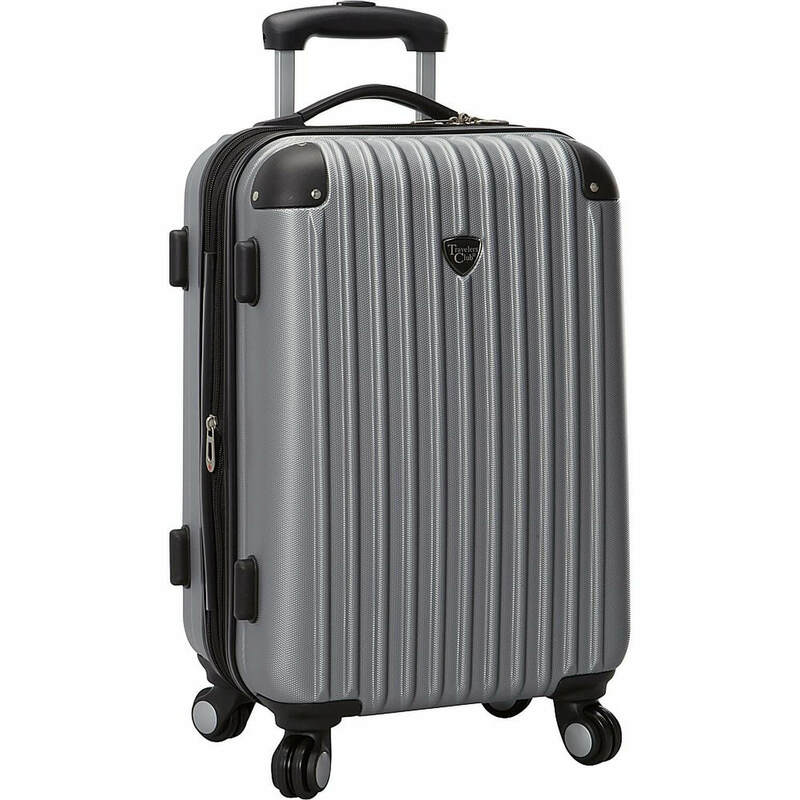 Made by American Tourister, the luggage has two smooth-rolling wheels, along with a long protracting handle, suiting even the tallest of travelers. At the front of the bag is a zippered compartment for storing books, folders or documents. The Silverlake from Calpak is a hard-sided spinner. The luggage is expandable and even has a built in TSA-approved lock. This suitcase, like all the others featured in this article, is within the carry-on restrictions of most major US airlines and can easily fit in an overhead compartment. The Silverlake’s retail price is $140, but can frequently be found on Amazon.com for around $40. 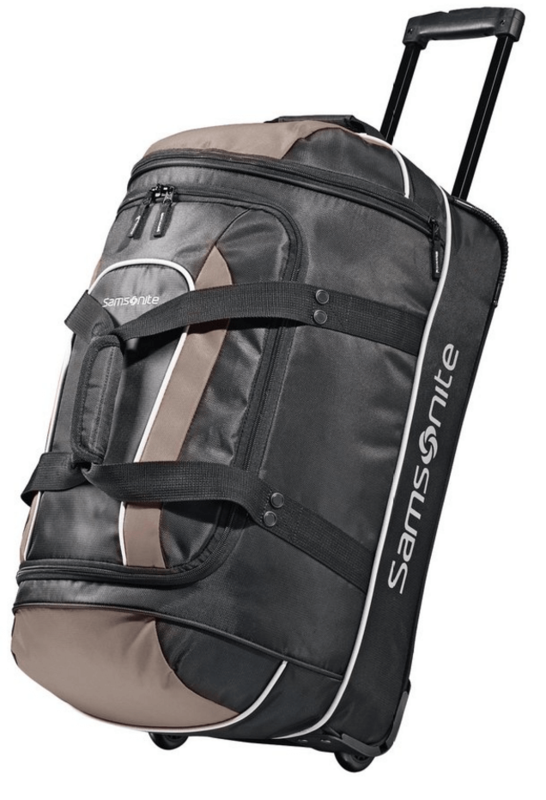 Samsonite is the largest luggage brand in the world, and one of the most trusted. While most of their suitcase prices tend to range in the triple digits, you can pick up this wheeled duffel for just $36. This duffel is lightweight, weighing just 5.5 pounds when empty and carry-on sized, perfect for your next vacation, cruise or adventure. Travel with a splash of color! 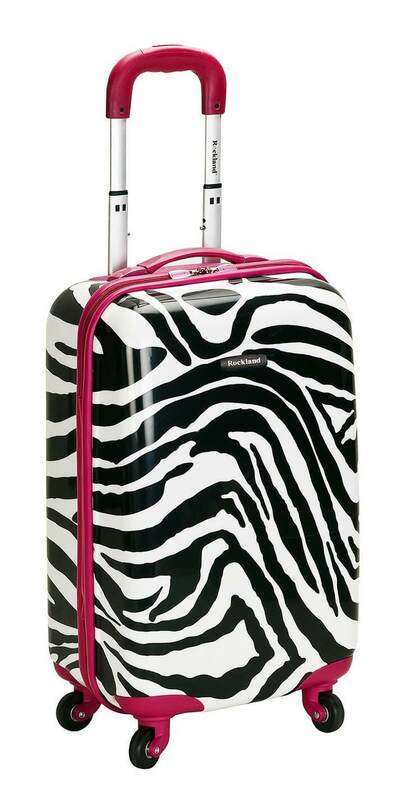 This suitcase from Rockland comes in 9 unmistakable prints and costs just under $50. Choose from the blue leopard pattern (depicted above), one of the most popular, the pink zebra pattern (below) or 7 other head-turning designs. This is ideal for kids, teens and even adults. 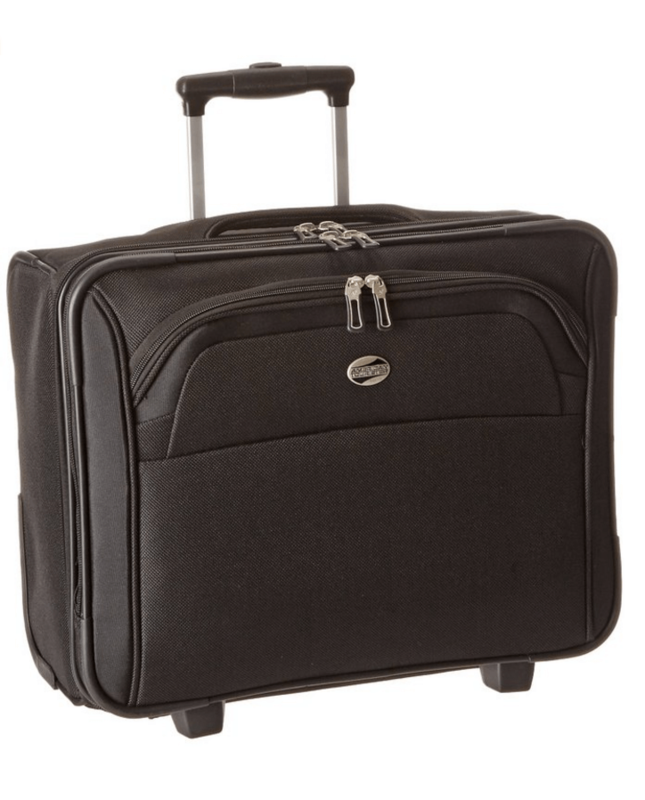 The luggage has a standard telescoping handle and 4 spinner wheels. 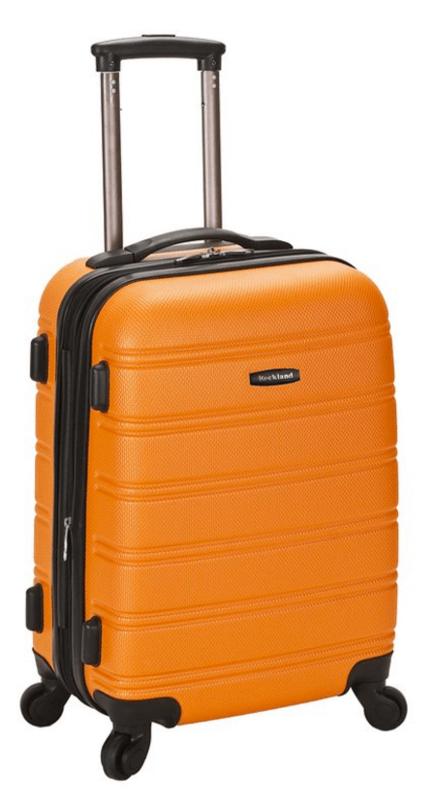 Made by Traveler’s Club, the Chicago carry-on luggage is a tough yet inexpensive hardshell. 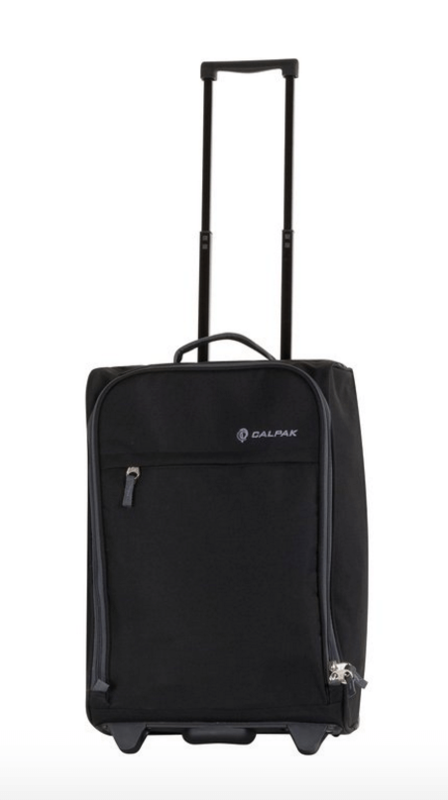 Some of the features on this bag include: (1) a zipper for expanding the capacity (2) top corner guards to protect the luggage if checked in (3) spinner wheels for upright mobility and (4) smooth lockable zippers. 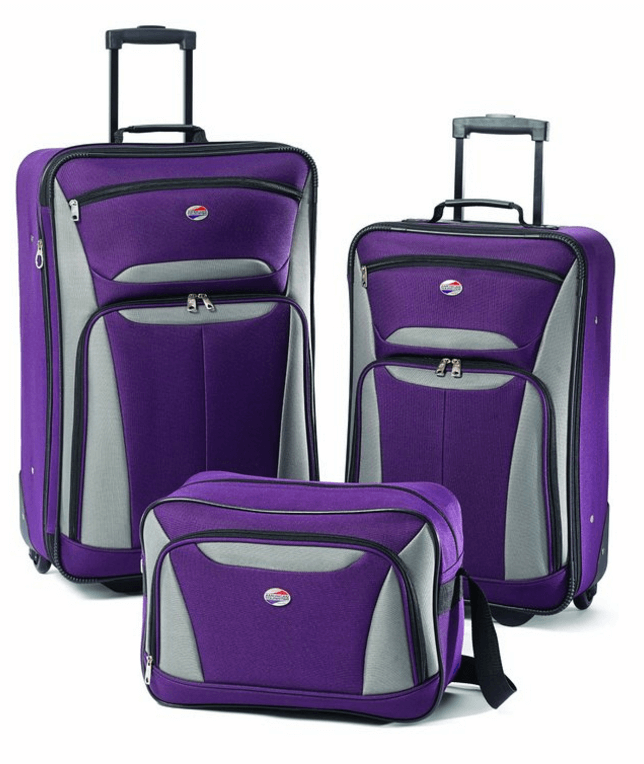 This set from American Tourister is a tad over $50 – but it’s a 3 piece luggage set. It includes (1) a large 26-inch check in suitcase (2) a 21-inch carry-on sized suitcase and (3) a 16 X 10in tote bag. This is perfect for family vacations and long trips. 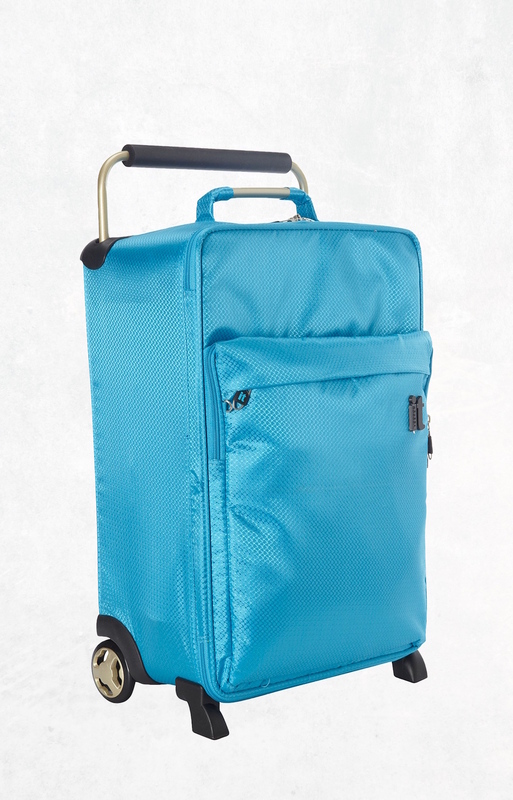 Made by American Tourister, these bags are sturdy and fully featured with smooth wheels and protracting handles. The set comes in either purple or black. Note: I try to be completely transparent with my readers, so I want to mention that I do make little commission if you end up purchasing some of these suitcases, which helps to fund this site. Also, I haven’t purchased all of these suitcases under $50, so I can’t guarantee that they are all great products, but I have tried a few. What are your thoughts? 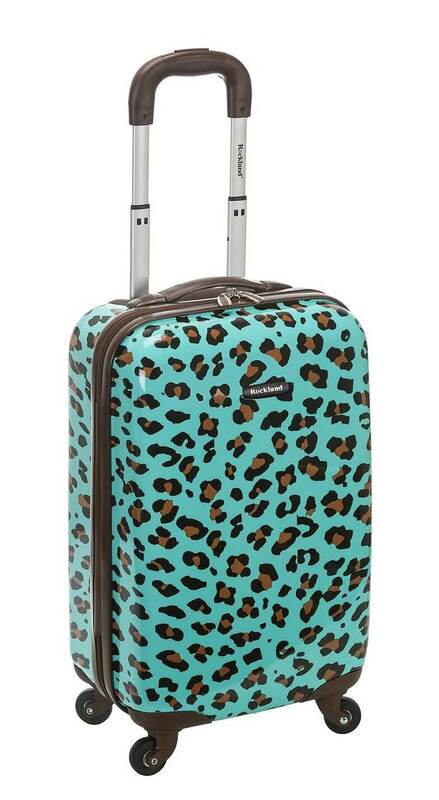 Have you tried any of these suitcases? Leave a comment below. Love that lightweight one! I think i might get it for my trip to FL next month! That’s awesome! Have fun in Florida! I like to read your articles because that are so informative!! Good job on everything!! To spørgsmål: Hvad betyder det om en kuffertlås er TSA-godkendt eller ej? Og er 20-tommer kufferterne for store til håndbegage?